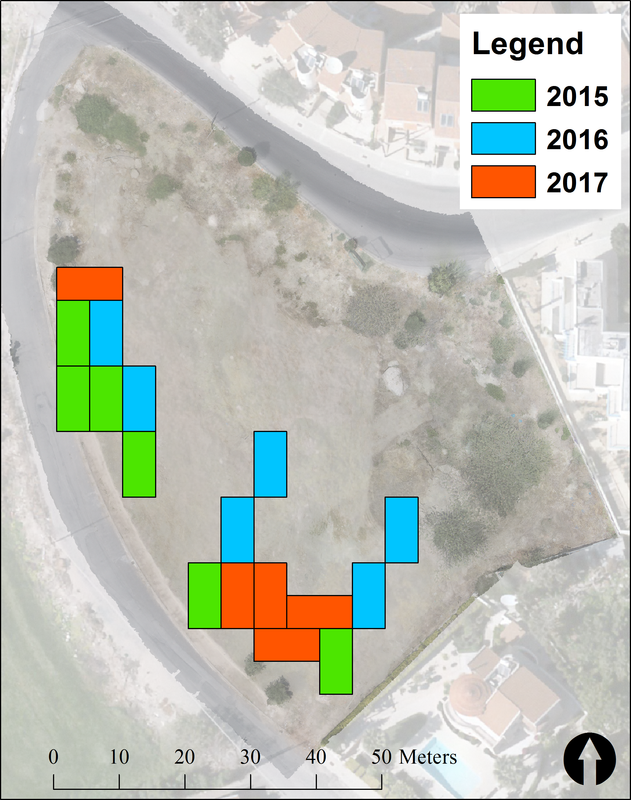 The Palloures Archaeological Project is a collaboration between the Faculty of Archaeology of Leiden University, the Netherlands, and the Department of Antiquities of the Republic of Cyprus, and the project is based at the Lemba Archaeological Centre. The project will start with a three year expedition on plot 568 at the site, which is scheduled for development, and it is therefore a salvage project of a site under threat, aiming to obtain the maximum amount of knowledge on the history of this location while we still can. Secondly, there are scientific questions about the nature of Chalcolithic society that we hope to address by investigating this settlement site. Thirdly, the project will act as a fieldschool for archaeology students and as a means of enhancing research links between archaeologists in Cyprus and their counterparts in the Netherlands.